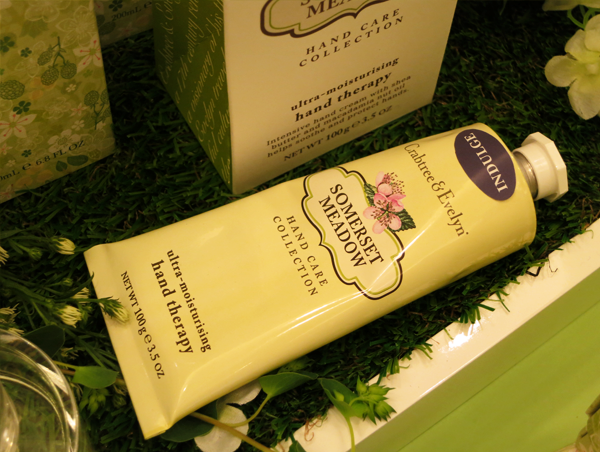 On April 16th, I attended the preview of Crabree & Evelyn's Somerset Meadow Collection at the brand's VivoCity outlet. Thanks Cindy for the invitation! :D This collection joins the the well-loved Nantucket Briar and Summer Hill collections in Crabtree & Evelyn's celebration of sumptuous flowers and idyllic settings (Think: English countryside.). And here's the entire Somerset Meadow Collection! Comprising of 5 bath and body items, this collection sets to impart the aromatic scent of an idyllic English meadow in full bloom on our skin. The refreshing and tart scents of bergamot and blackberry buds are balanced with the bitter greens of ivy and ferns. 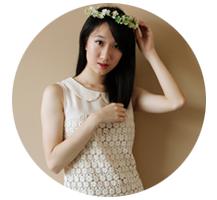 And intertwined in them all are the scents of white blossoms, water lily and earthy geranium. Mmhmm... This will certainly start my day with a mood all peaceful and tranquil! 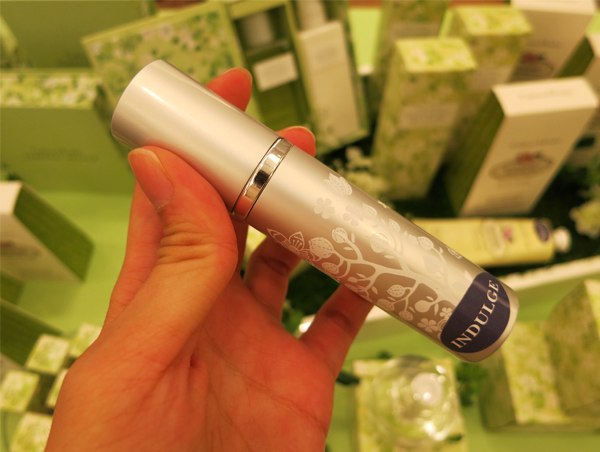 Massage this luxrious moisturizing gel onto pulse points and revel in the fresh scent of flowers and fruits. 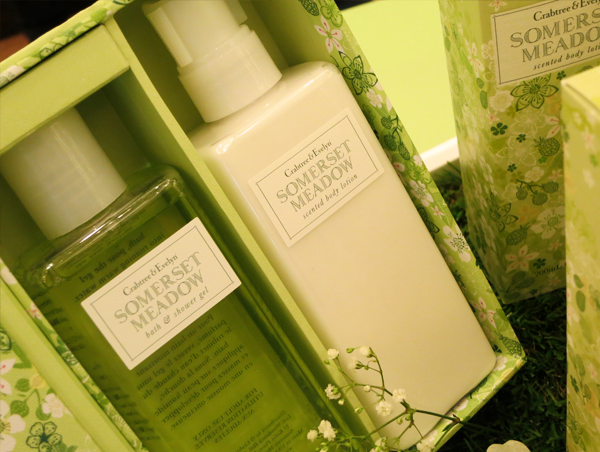 Fresh and lovely, the light green fruity-floral scent of Somerset Meadow is graciously charming with an addictive allure. Formulated with conditioning extracts of water lily and ivy, this richly lathering cleansing gel also creates a wonderfully foaming bath that awakens the senses and leaves skin feeling silky smooth. With the freshness of a dew-kissed meadow, this moisture-rich lotion beautifully softens and rehydrates the skin with sweet almond oil, shea butter and conditioning water lily and ivy extracts. Dry hands - including nails and cuticles - will delight in this superior moisturizing and conditioning blend of macadamia nut oil, shea butter, antioxidant-rich vitamins C and E, and water lily and ivy extracts. This restorative hand treatment also leaves a subtle, tantalizing aroma on the skin. With every $120 spent in a single receipt: Receive a limited edition Somerset Meadow umbrella. With every $150 spent in a single receipt: Receive a 1-for-1 lunch buffet offer at Marriott Café, Singapore Marriott Hotel (Valid for Mondays through Saturdays. ).